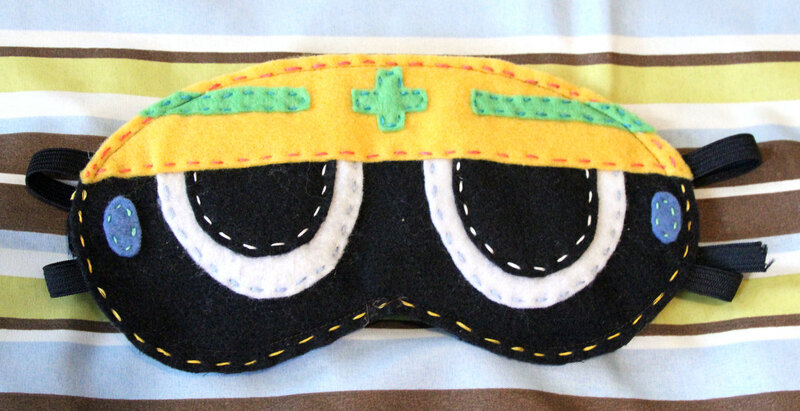 Sleep masks are a wonderful invention -- they block out light so you can sleep longer. The downside here is they don't necessarily look good on you. Fortunately, there's a solution. A Mega Man solution! Ditch those bland old sleeping masks, because it's time to shield your peepers the Mega Man way. Etsy user Milk And Juice brings us this homemade Met-themed sleeping masking, an imaginative product ideal for fans who like to sleep in total darkness. You're practically *becoming* a Met when you wear this! The mask will run you $20. It's made from silk and satin, so it's entirely washable. Good news, too, because you can totally share it with friends and family without having to worry about conjunctivitis. A little pricey, but bear in mind it's entirely by handmade. Interested? Hop on over to Milk and Juice's shop and grab yours.